Every company needs a frequently updated copy of its data that resides far away from its headquarters. In the wake of the hurricanes that hit Texas, Florida, and Puerto Rico this summer, businesses have recovered at varying speeds. Some returned to their normal workflow in days, others have yet to do so. One key factor affecting downtime in situations like this is the presence and quality of a disaster recovery plan aimed at maintaining access to data and company systems. Of course, companies need to first make sure that employees, their families, and their homes are safe and secure following a disaster. But once normal life begins to resume, it’s a major competitive disadvantage for a company to be sitting idle because of computer glitches while its competitors get back to work. In companies without a chief information officer, IT managers often reports to the CFO. But even when that isn’t the case, it’s easy to see the potential cost of losing weeks instead of days of productivity simply because proper planning and disaster recovery technology wasn’t implemented — and, more importantly, not planned for. The most important thing that every company needs is a frequently updated copy of its data that resides far away from its headquarters, either in the cloud or in another region of the country. It’s surprisingly affordable to accomplish this. If your office floods and your server drowns, your data had better be somewhere safe and dry. Once the data is properly backed, the company can employ technology that’s now available to recreate its computer environment in a temporary location. Often, it takes just a few minutes to populate the data. Once available only to the largest companies in the world, this capability is now affordable and in reach of virtually all companies. But having the technology in place isn’t enough to enable a company to bounce back from a disaster without a plan to implement it. Since it’s uncertain what modes of communication will be functional in a disaster —sometimes the internet is out, or the cell phone tower is down — it helps to have a clear plan when and how for employees to check in once they’ve taken care of their homes and families. It’s usually easiest to have staff check in via email, so it’s important to make sure your email server has a backup along with the rest of your data. If internet service is spotty or your email server is down, you can provide a bridge line for team members to call into. You may want to issue a plan on paper, as well as in a document accessible from a major third-party site such as Google Docs or DropBox, so that employees will have access to it should disaster strike unexpectedly. Regular testing and practice of your disaster recovery plan is crucial, and it can actually be fun. For instance, your IT staff or vendor can simulate a disaster by shutting down the main office system, activating the backup, and having staff connect from various locations to practice gaining access. Going through the motions at a time when your team is relaxed will eliminate the difficulty of completing an unfamiliar tech task at a stressful time. In addition, physical structures may be damaged or inaccessible, so planning how you will access your data and financial service information is crucial to your business recovery. Your clients may not be affected by a disaster in your area, so as you plan backup sites for production and inventory, consider adding secure and controlled access to import data records to be stored and used as a back-up. If you’re accepting payments at a single office location, you may want to consider using an online payment portal or a more traditional, check-based collection service (known as a lockbox) from your bank. This service captures payments, makes deposits and creates file to post to your accounts receivable system. As any storm approaches, or as you plan for any emergency, be sure to scan or make copies of key documents, store these off-site, have cash and checks on hand and stored offsite in a safe and secure location. But your first thought should always be the safety of your employees. 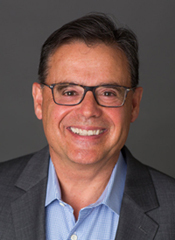 Laurance Selnick is a senior vice president and director of treasury and payment solutions sales at Webster Bank. 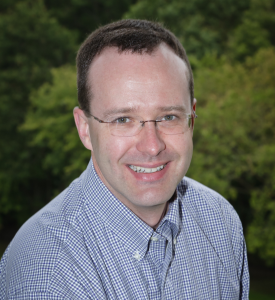 Jonathan Stone is COO and CTO of Kelser Corp., a technology consulting firm.